I love the KonMari method. In the previous post, I mentioned how I started sorting through my stash. I mainly wanted to do this because I know I have too much for me right now and I’m worried that my past self wrote knitting cheques my future self can’t cash, or knit (?). And I think that is where I am with my stash. I bought a sweater’s weight worth of a thick aran weight yarn last year, which is lovely, though now I know I prefer DK weight to knit with. I couldn’t finish because the project really doesn’t suit me (and I couldn’t figure out how to modify it so it does). I would prefer that I could start a sweater with yarn in a weight I like now. So there ya go. Marie Kondo says to tidy up and do it all at once and only one time. It might take several weeks, but it should be done in one shot. She has a particular order too. I mentioned in my previous note, I’m trying to KonMari all the things, and just started tackling the yarn. I’ve done the first step which was to sort out my clothes. She says to start there because clothes are easily replaced and people usually have too many. And this morning, I tackled my books. Even my husband joined in on the fun. But I’ve got to tackle yarn next. KonMari doesn’t cover yarn in her book. In terms of order, I think yarn is such a large category, I think yarns don’t fit in komono (stuff). I think collectors and hobbyists will always have categories like this. Now that I’ve started, I can safely say I probably should have done komono first, but I’m impatient and hubs and I have had “words” about the stash. I think on a scale of difficulty it fits between books and sentimental items. Potentially useful like books and snackable purchases which accumulate easily. So much of the authors book advice fits for yarn. Though she has some book-specific advice which won’t translate to yarn. With yarn, once you use it up it doesn’t become a collection. And it costs quite a bit more than books. For example, she says ‘just give it away if you’re not sure. If you do like it, then you can just buy it again.’ Um.. not with yarn! I’ve interpreted the steps to how I think Marie Kondo’s method translates to yarn. However, this is all theory as I’m literally right in the middle of this process now. I’ll report back on what I discover! I took the first step: Load all of it on to a pile. Don’t skip this step and think you can just pull out things you don’t want to keep. That is the wrong way around. It all comes off the shelves and out. But I did that step over two weeks ago. So, today I guess I’m at least making progress. 2. Sort: Does this yarn spark joy? Touch each yarn. Do you sense joy? Only moderate joy? Only keep which resonates. I thought this sounded pretty trippy. The notion that you communicate with objects which respond to you seems childlike because of the sense of magic. I was a bit skeptical that I wouldn’t feel “joy”. However, when I touched these shetland yarns, they literally sparkle with excitement. These are from Blacker Yarns and Jamieson & Smith. She says throw away, but I think donating is going to be a happier future for anything unwanted or unused. Some yarn is going to a friend in England, some in Belfast and to a women’s knitting group. This stuff was easy to spot. Wha t was I left with? 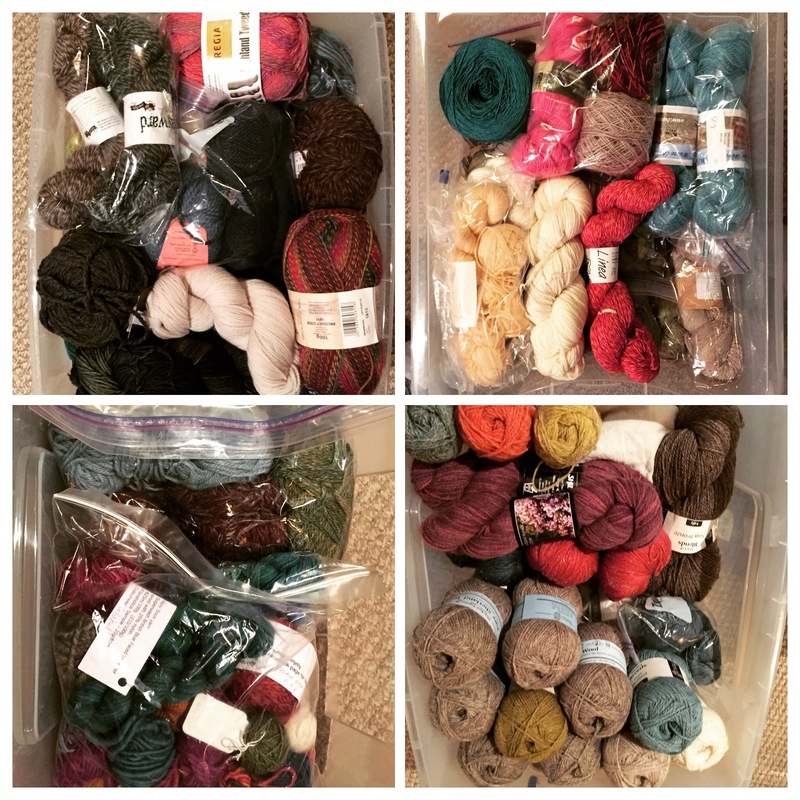 I boxed up the yarn into categories. Yarn for projects I have queued and will start next. The Shetland Hap *gulp* that is a doozy! And a knitted skirt project and a few WIPs. Yarn for gifts: Hats and mitts. I won a massive amount of yarn from LoveKnitting, and this makes up the bulk of it! FUN SCRAPS. I love my scrap bag! It’s clearly all stuff I love and I’d like to use again. 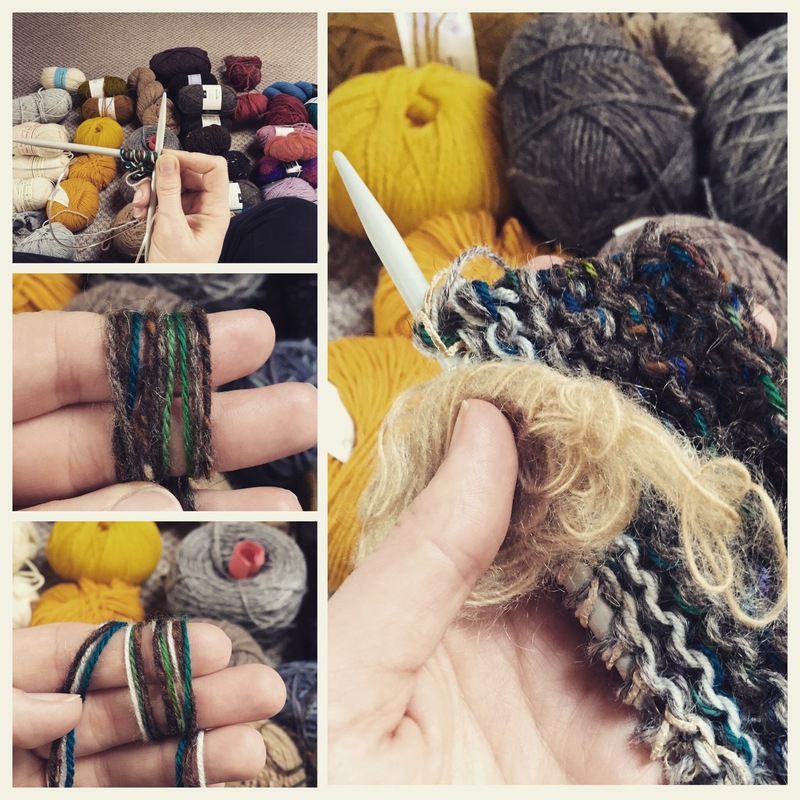 MinaLoves has a great post about yarn leftovers. What patterns of habit did I discover? I have lots of blue/turquoise/green, and lots of natural neutrals. And a few random yellows! Recently I’ve bought pinks and purples and it’s all I want to knit with. I think that is the problem with “collecting stash”… your past self commits to knitting your future self might not want to do. I tend to buy when stuff is on sale, I get a bit grabby. Much of my odd ball yarn is like that. I buy yarn to swatch. I have a problem with Blacker Yarns, I love their yarns and want to try them all. I buy sometimes because I fear all the yarn will disappear. That is the biggest overall thing. What if I can’t ever find this stuff again ever? In the future, what I’d like to do is just buy what I’m ABOUT to use. Clara Parkes calls this “slow stashing“. 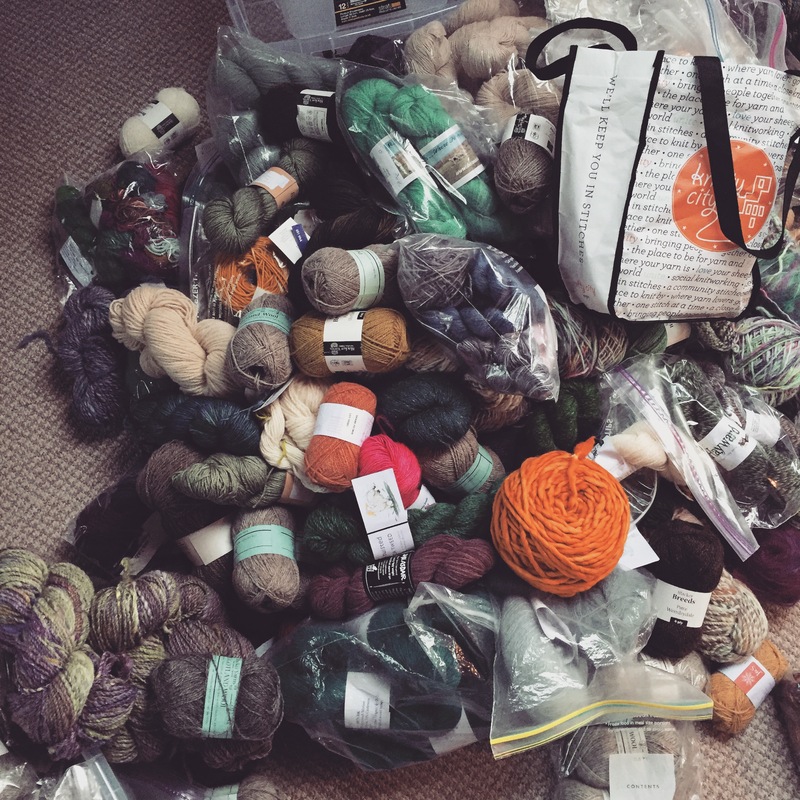 Hannah Fettig also talks about Stash Control in a recent podcast. 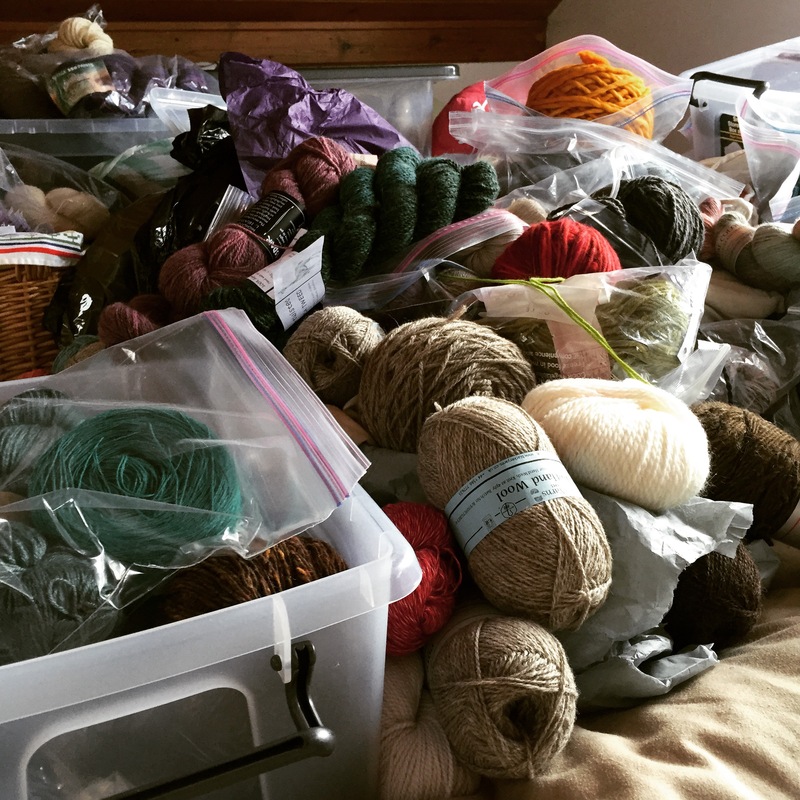 She is a true stash minimalist, and only gets yarn for a project she’s about to work on. 1. 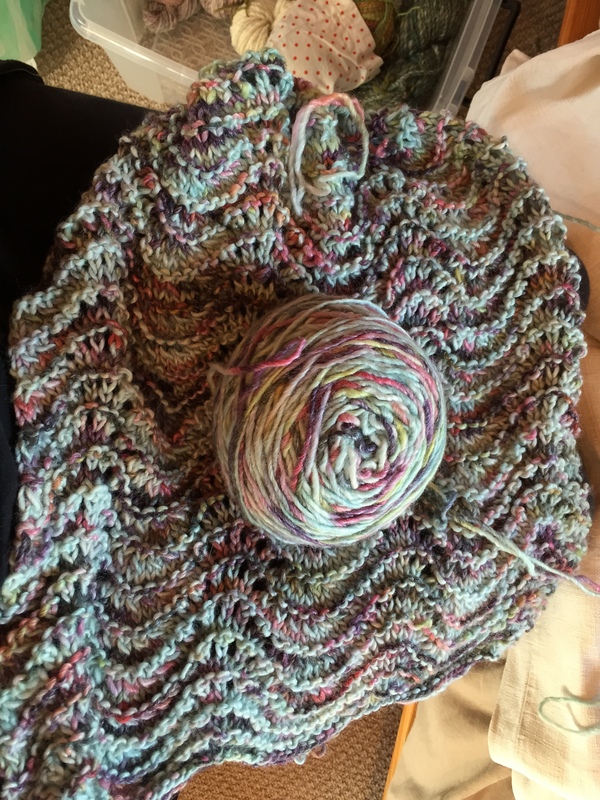 Stash on Ravelry? Yes. What I wanted to do was photograph it and put it on Ravelry. I think if I do that, and I’m connected with an app, I can make sure I “know” what’s in my stash. I can then shop my stash before starting a project. And rainbows will spring from my fingers because I will be in perfect stash harmony. But that is going to have to be done box-by-box now. 2. To queue or not to queue: NO. 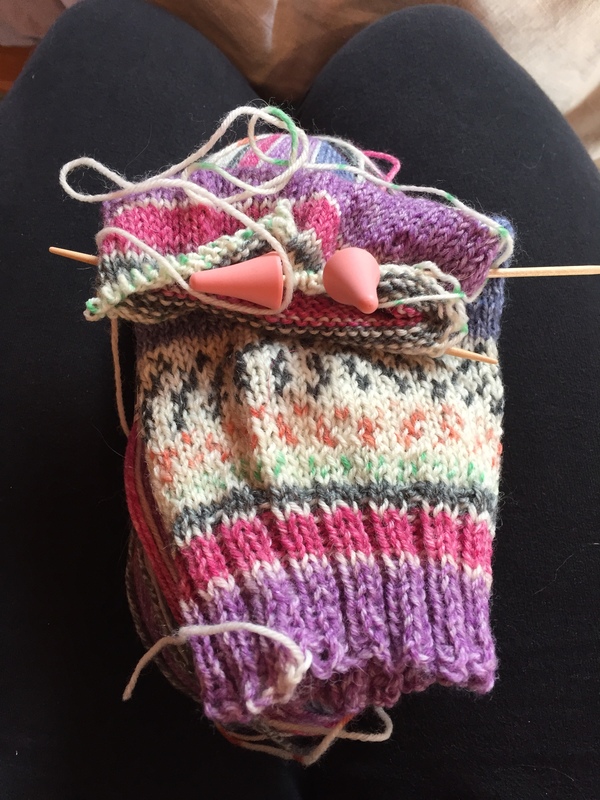 I thought I’d like to connect the yarn to projects in my queue, however I get the sense (again) that this means my past self will be committing to things my future self might not want to knit. In fact, I went right to my queue this morning and just moved out any aspirationally queued items. 3. Frog! I think this is where Clara Parkes’s class on Stashbusting comes in helpful. I’ve started frogging projects I’m giving up on entirely. And getting ideas for what to do with all the crazy odd-ball yarns I have. I’ll talk more about that in my next post! Yeah I’m going to have to chip away at that project. I know Jo said she’d never put her stash on Ravelry. I guess most ppl feel like that. I think there’s a sort of secret guilt about stashes. It shouldn’t be! Yeah! True about the danger of double purchases! I did my books before my yarn. And I discovered I’ve bought the same Ysolda pattern in print two times. (Marin) I guess I really want to knit it! But no I didn’t need two copies.